Hi friends! Happy February! Hope you all are having a great new year. So when the weather is chilly, sometimes I get tired of wearing the same boots and sweaters (I'm a freeze baby so I always need to be covered in the winter.) When I feel like spicing up a tired outfit, I pair it with some fun earrings! I don't know about you all, but I have about a thousand little earrings and earring backs floating around everything, or in tiny random trinket bowls. I wanted something where I could put everything in one place, that was cute that I could hang up next to my other jewelry displays. 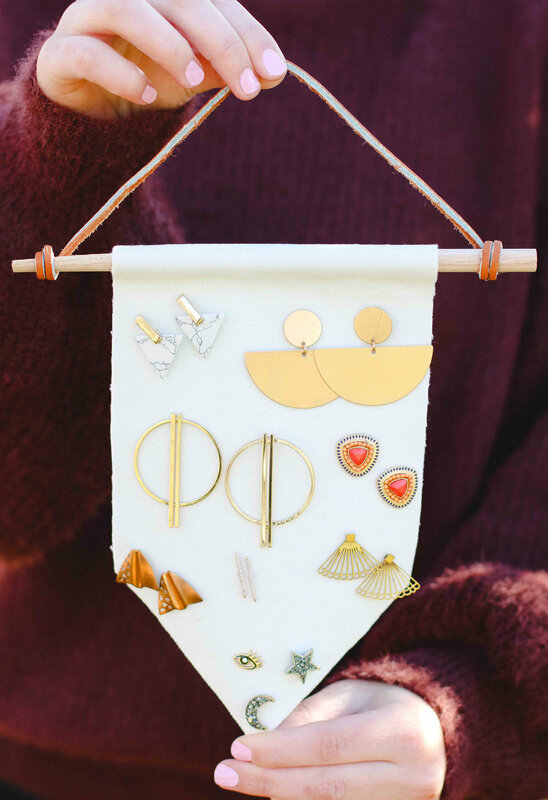 This velvet earring holder is so easy to make and you only need a few supplies to make it! Then you'll want turn your fabric over (so the velvet side is facing down on your surface) and put a strip of hot glue along the end of the top of your fabric. 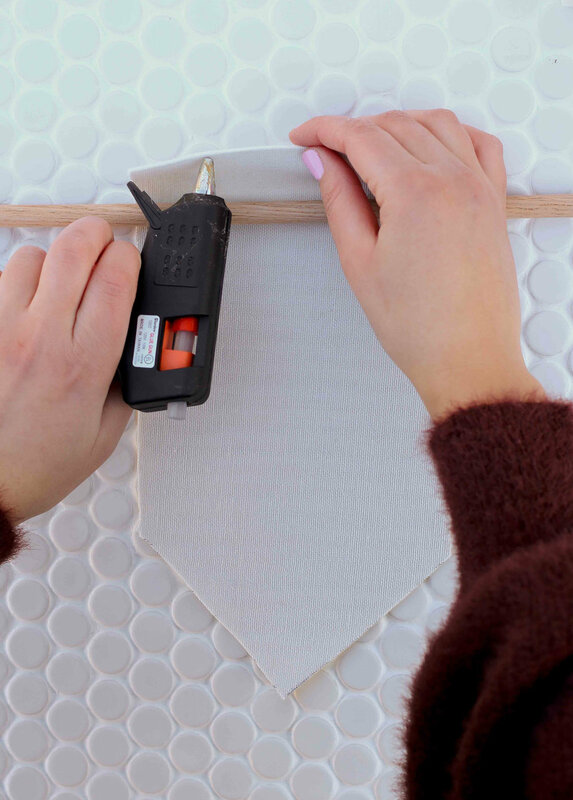 Once you have a line of hot glue on the top of your fabric, fold over the dowel and push down and hold for a few seconds so it dries. After that is dried, attach your cord, however you want. You can tie it on each end and tie it in the middle or wrap it around the ends a few times like I did. It depends on the cord you are using.